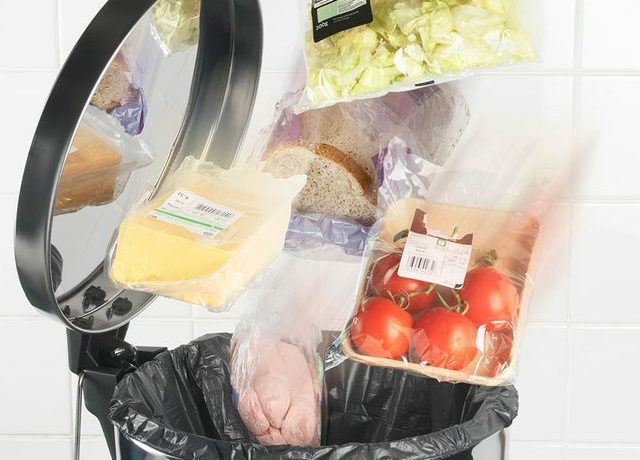 From supermarket packaging that goes straight into landfill, to untouched food that’s chucked in the bin, the amount of waste that comes out of the average kitchen is shocking. It was one of the reasons Ingrid Caldironi, founder of London’s new zero-waste supermarket Bulk Market, decided to adopt a no-waste lifestyle, citing our ‘unsustainable’ approach to food as a ‘scandal’. 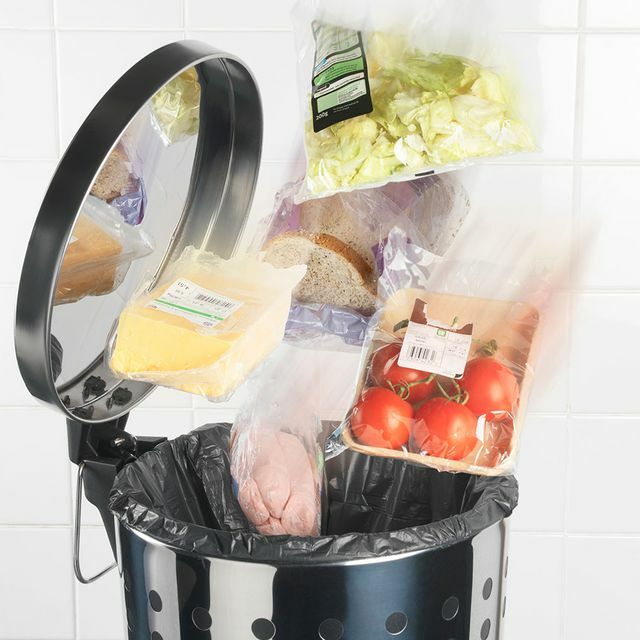 As the world’s population increases and issues such as global warming come increasingly to the fore, many people are concerned about the amount of waste they produce in the kitchen, and would like to cut down, but how? Often people chuck out food as soon as it looks a bit ‘off’, but Ingrid says there are plenty of uses for food that may not reach our exacting standards. ‘Bread is definitely the most wasted food’ she says. ‘Stale bread can become breadcrumbs to add to soups, or used to coat steak or vegetables. Part of the problem, says Ingrid, is that we see food as very disposable because of its availability in the supermarkets, whereas in fact it is hugely resource and labour intensive to produce. You may feel virtuous stuffing everything into the recycling bin at home, but actually, a surprising amount of plastic is not recyclable through local collections. ‘The curbside collection provided by local councils is very basic and processes only a few types of hard plastics; everything else, such as drinks cartons and tetrapacks, need to be taken to recycling centres’ explains Ingrid. ‘It’s not that easy, which is why I advocate pre-cycling: avoiding creating so much rubbish in the first place’. It’s all very well planning to produce less waste, but at the supermarket you often find that everything comes wrapped in a ridiculous amount of packaging, much of which is not suitable for the recycling bin. ‘One of the best ways to avoid packaging is avoiding supermarkets – everything in there will come with packaging’ says Ingrid. ‘Instead visit local green grocers, bakeries, butchers, fish mongers and cheese mongers where you can buy things unwrapped or bring your own container. I am also a big fan of farmer’s markets – they usually have a good choice of organic goods without the harmful packaging’. Of course, sometimes time constraints make shopping in this way tricky, but even if you do visit the supermarket, you can make a conscious decision to choose unwrapped fruit and vegetables rather than those covered in layers of plastic, and only buy what you need rather than over-buying and having to throw lots away. Chucking out food is a huge waste of money, and particularly unfortunate when you consider the resources that have gone into producing it. One excellent way to avoid leftovers is to carefully plan your meals, and only buy what you need. ‘Meal planning is the first step, it prevents you from buying what you don’t need for that week, which means shopping is easier and you waste nothing’ says Ingrid. If you’re stuck for ideas, try Good Housekeeping’s collection of 5,000 delicious tried and tested recipes to get you started. We’ve all experienced that sinking feeling when you open up the vegetable drawer in your fridge, only to find everything has gone to mush (and then felt seriously guilty about chucking it all in the food bin). However, some planning ahead can prevent this, says Ingrid. Ingrid also recommends having a store of staple items, including flour, herbs, spices and olive oil so that you can create ‘fridge-cleaning’ recipes with leftovers, rather than simply throwing them out.